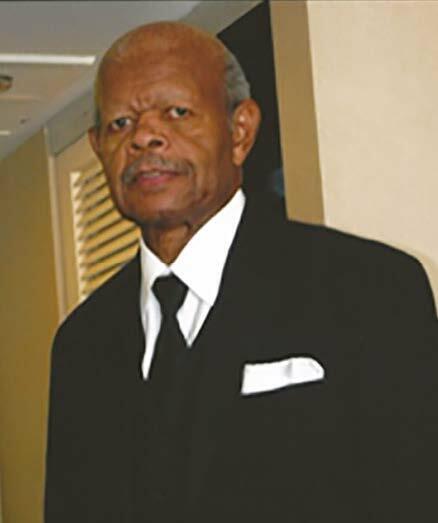 Harold Lee Johnson, son of Sims and Nina Johnson, was born on July 18, 1934 in Topeka, Kansas. Affectionately known as “The Chief,” Harold served in the U.S. Air Force for nearly 32 years rising from Airman First Class to the highest non-commission rank of Chief Master Sergeant. Harold rapidly rose through the ranks because of his dedication to duty and commitment to perfection. During his service years and thereafter, Harold never demanded respect from anyone but earned the respect of everyone. After a three month rest from three decades of service to our country including two combat tours in Vietnam and one in Korea, Harold went back to work at Lockheed Martin for fifteen years. During that time Harold joined Community Missionary Baptist Church of Redlands and served as a deacon until he joined the Lord on November 25, 2017. Most importantly, as a loving husband, devoted father and grandfather, and faithful servant of the Lord, Harold prided himself on leading by example. He was an exemplar model of someone who always showed respect for others, exuded honesty, never shirked his responsibilities, and always, always, always, put family first. Harold was a proud member of the Masons for more than 50 years. He was also a member of the American Legion, and the Veterans of Foreign Wars. Harold was happily married to Mrs. Penelope Johnson who stood by his side until he took his last breath. He leaves behind his devoted wife, his sons, grandchildren, great grandchildren and a host of friends and family. If Harold could end this tribute, I am sure he would say, “Don’t cry for me. I will be okay. Heaven is my home now, and this is where I’ll stay. Don’t cry for me. I’m where I belong. I want you to be happy and try to stay strong”.